Could the software confirm that X marks the spot? Months of leaks meant we thought we knew pretty much everything there was to know about the iPhone 8, but the last week or so has proved that we may even be wrong about the name. The latest leak suggests Apple is ready to call the bezeless handset that we've seen leak time and time again the iPhone X. According to software developer Steven Troughton-Smith, he's found various references to the name iPhone X within iOS 11 that are specifically connected to the next iPhone. He also suggests Apple is planning to call its other two handsets the iPhone 8 and iPhone 8 Plus instead of the iPhone 7S and iPhone 7S Plus that most people had expected. Troughton-Smith has access to iOS 11's final software, but there's always the chance that Apple will decide to change this at the last moment and we'll instead see the main phone launch as the iPhone 8. Other names for the main phone have previously been rumored to be the iPhone Edition and iPhone Pro, but as we get closer to the launch of the phone both have seemed to dry up and we've instead seen more mentions of iPhone X and 8. The phone itself is heavily rumored to have an almost bezeless display, wireless charging, a dual-lens rear camera and new AR capabilities, but the price is rumored to be as high as $1,100/£850/AU$1,400. 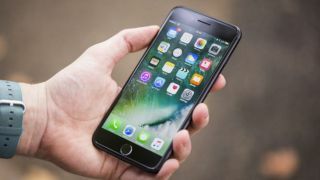 We'll know all on September 12 at the iPhone X launch and you'll be able to keep up with everything Apple announces at its big event on TechRadar.